Nikki's still got John on her mind. 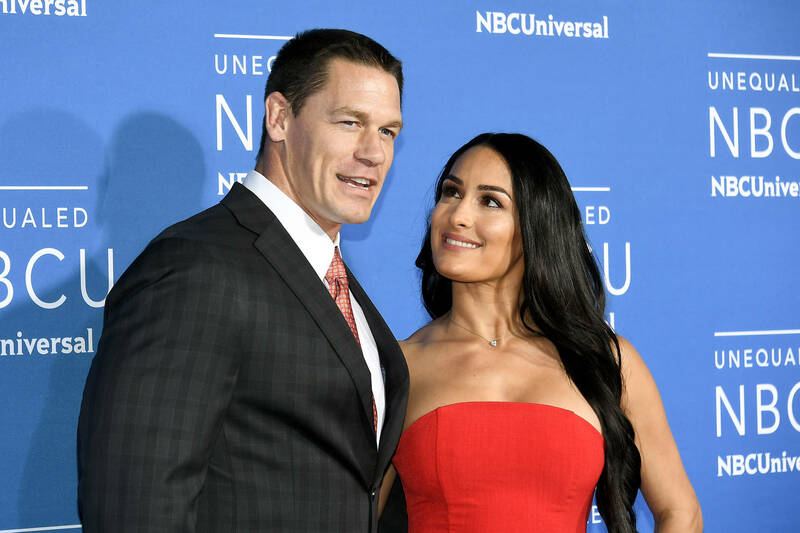 Even though Nikki Bella has seemingly moved on from her ex-fiance John Cena, the thought of seeing him with a new partner is something that would kill her. In a teaser clip for the season finale of Total Bellas, Nikki and her twin sister Brie head to a Napa Valley vineyard and Nikki gets emotional since the last time she was there was to scope out wedding venues for her and John. "This is the first time I've been back in Napa since my big breakup and I just immediately get all the memories. But a part of me is like, 'OK, Nicole. Now you have to make new memories,'" she said. "I think that's why I was crying so much yesterday," Nikki told Brie. "I feel like it was the first time I'm just fully, like, starting my true grieving and healing process." "No matter what, the next time I see him with someone it's gonna kill me," she added. "I'm ready for a new me. I need it." Nikki and her Dancing With The Stars partner, Artem Chigvintsev, were spotted with their arms around each other not too long confirming that they are in fact a couple. Wonder how John's feeling?